Reverse Advent Calendar Campaign- Will you be taking part? Reverse Advent Calendar Campaign – Will you be taking part? Sometimes I find it quite hard to believe that we live in what is widely regarded as a first world country and yet there are still people who frequently go hungry and worry about how they will feed their families. Sadly Christmas isn’t always the most wonderful time of the year and for many, it can be anything other than calm and bright. Once again, while there are people who will be excitedly rushing to ensure all their cupboards are fully stocked, there will be those who will be lucky to fill just one and the rollout of the new, dismal Universal Credit benefit credit system has only served to intensify the problem. 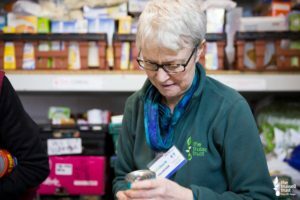 I was astounded to learn that demand for food banks increases 45% over Christmas and that foodbank volunteers dedicate more than 4 million hours every year to helping others. Much of this work is carried out by Trussel Trust volunteers. It makes me feel so very humble to know that there are so many selfless people working so hard for others all year round. The definition of a volunteer is someone who works freely without being paid, suggesting that there is no recompense for this and no reward. But in reality, it’s people who freely offer a vital service and are as such, worth their absolute weight in gold. It’s people like this who really put your faith back in the generosity and warmth of mankind. This is why I took part in the Reverse Advent Calendar campaign along with other UK Money Bloggers last year and will be doing so again this year. Will you be joining us? With a traditional advent calendar, you would open a door every day and find a chocolate. With the reverse advent calendar, you create a food parcel by putting one item per day into a box until you have 25 items. 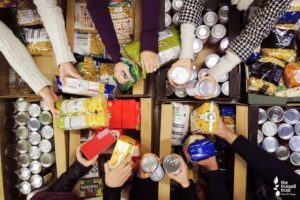 Best to start in November so that you then have plenty of time to deliver your box of donations over to your local foodbank. With my usual Lady Janey efficiency, I plan to start early so may have well over a month’s supply of goodies by the time we get to December. 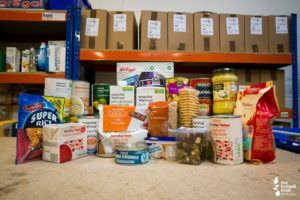 If you need ideas for what to put in a food parcel then just take a look at the Trussel Trust website using this link. You can also find information as to how to find your local bank here. Please ensure that all items have a good shelf life, preferably 6 months. Please spread the word among family and friends and use the hashtag #FoodbankAdvent on social media to encourage as many people as possible to join the campaign. This is the 21st century not the 19th. No one should live in fear of going hungry at any time of year but especially not at Christmas. Sadly there’s no quick fix to solve this issue which is increasing in intensity and it will take a great deal of long term commitment and action to even start to make a difference. However every little bit helps so this year, please take part in this campaign and put the real spirit back into giving at Christmas. And a time to show we care. Because there isn’t enough to eat. So that others have enough.